W.I.S. 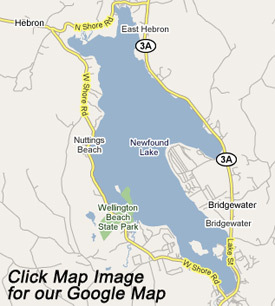 is proud to offer our complete line of construction, mooring, and seasonal dock and raft services to Newfound Lake. Our complete mooring services include installation, seasonal inspections, and repairs. Our dock services include spring installation, fall removal, as well as yearly maintenance, and repairs. W.I.S. services all four towns of Newfound Lake: Bridgewater, Bristol, Alexandria, and Hebron. From roofs and siding to kitchen and bath remodels, W.I.S. can help! Contact us today for a free no obligaiton estimate on all of your construction project needs. Please contact us today for a free quote on our seasonal dock services! W.I.S. specializes in the installation of new mooring systems and maintenance and repair of your existing moorings located on Newfound Lake. Please contact us today for your free mooring installation or service estimate. Please include details about the location of your home, water depth, lake bottom conditions (i.e. : rocky, sandy, ect), exposure, type and size of boat(s) that will be using the mooring. Are you unsure about what type of mooring you need or how to obtain the correct permit? W.I.S. can help determine the correct mooring for your needs and assist you in obtaining the required permit. We have a wide selection of mooring hardware to fit every boaters needs. 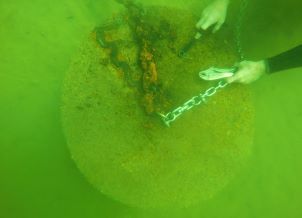 Are you concerned about the condition of your mooring? Let us dive down and take a look! When we are finished we will e-mail you a detailed evaluation of the condition of your mooring block, chain, and hardware. Underwater photographs of your chain, block, and hardware will be included standard for your peace of mind. Winnipesaukee Island Services will replace any of your mooring components. If you are concerned a component may need to be replaced, have us take a look!